Steve also said that some leftie blog is comparing the Tea Party folk to the Weather Underground. Given Obama's friendship with Bill Ayers, that comparison was quite ironic. Today is tax day, and across America, taxpayers are holding tea parties to protest out-of-control government spending. Their concern is no tempest in a teapot. The tax burden on American families is growing increasingly heavy. According to the Tax Foundation, tax-freedom day came on April 13 this year. That day marks the point of the year when taxpayers have earned enough money to pay off their federal, state and local taxes. It takes Americans about 3 1/2 months of labor to cover their tax obligation. That time will increase as government continues to grow. President Obama’s current budget proposal admits to plans to raise taxes by almost $1 trillion over the next 10 years. I was pleasantly surprised to hear our local radio station reporting on the TEA party today during the early morning broadcast, even told us the time and place it was happening. since theOne’s close friends ARE the weather underground that just makes me laugh. FOX news has already begun some LIVE coverage! HAUPPAUGE, N.Y., April 15 /PRNewswire-USNewswire/ — April 15th is tax day and hundreds of thousands of Americans will mark the occasion by participating in “Tax Day Tea Party” protests in more than 2,100 communities nationwide. The Gadsden flag, emblazoned with the historic words “Don’t tread on me,” has become the official flag of the Tea Party movement and AmericanFlags.com has proudly supplied more than 5,000 Gadsden flags to protest participants. Happy April 15th all you tea partyers. Let’s go out and have our voices heard!!!! Keeping the people of Alabama informed! FReepmail Ultra Sonic 007 to get on or off this ping list. The Friends have been doing Tea Party coverage all morning. Great job! 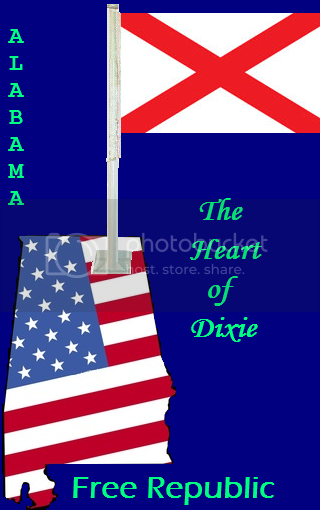 I'll be at the Fairhope (AL) Tax Day Tea Party at the Fairhope Pier... 3pm - 6pm! We have the Political Class, the Gimmee Class, and the White Guilt Class arrayed against us on all sides, demanding more of our money and property. So . . .